Girls, I can't believe this is my last post for 2017! And trust me to do it when I'm 39 weeks + 5 days pregnant. I always seems to work up until the last minute with all my pregnancies for some reason or another. Either way, I really wanted to share with you my journey starting this blog and get a little bit more personal than usual before I head off on maternity leave. 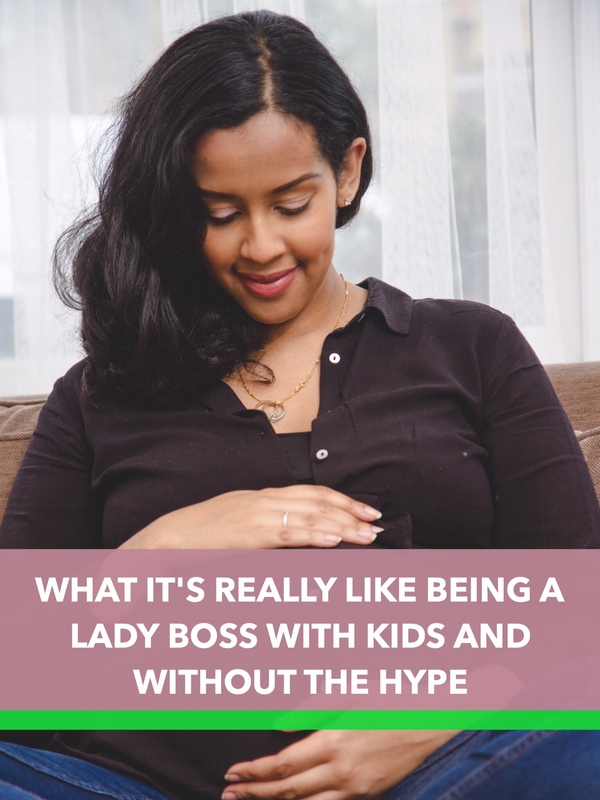 I also wanted to share what it's like being a #girlboss or #ladyboss, as that's a term that's been going around a lot lately and it sounds pretty cool to be one. And don't get me wrong it totally is; but I also wanted to share the unglorified version of what it's like to run your own blog/business, with limited resources and a young family to look after, for any of you out there who want an honest sneak peek into what it entails, and what kind of person you need to be if this is something you want to pursue for yourself. But before I reflect on 2017, I need to take you back to 2016 where my Earth & Spoon journey actually started. By then, we had already made personal lifestyle changes which meant that my family and I were turning our health around for the better. A huge part of the change in lifestyle was a change in how we ate (and household products that we bought). After a fair bit of research (I'm talking months), I figured adopting a diet that was rich in fresh, whole foods without any preservatives or additives as much as possible was the best way forward for our family. And that change didn't go unnoticed. A lot of friends and family were curious about how we managed to include so much whole foods into everything we ate, even sweet treats. And the fact that our kids love their fruit and veg (most days) was a real shock to so many. I noticed people wanted to eat and live healthier, but they just didn't know how. That’s when I thought to myself, "I should totally start a blog!" . I really felt like I was being a solution to a problem that is so prevalent in my immediate and wider community. It was a non invasive way of pouring out the knowledge that I'd accumulated without being all up in errbody's face. "You're not a creative why are you pursuing this?" "Why would anyone listen to you? You're just a mum, not a nutritionist." "What if you get trolled online?" "You have 3 kids and volunteer at church heavily! How on earth are you gonna find the time??!" I was so insecure about doing this and had self doubt in bucket loads, but whenever I saw someone else even remotely doing what I wanted to do, I would always think "Argghh! That could be me right now, I can so do this and make it my own!". Truth is I also put myself in a box - due to my upbringing- which made me feel like I am an academic not a creative and that creativity has no real value (I know, its so dumb). I've been a computer scientist, a management accountant, a pastor and a mum. But I'm not a blogger and I'm not allowed to pursue this, because I'm being something I'm not. This was the internal dialogue that I was fighting with. But who says that the voice in our head is always right?? So one day, I got so sick and tired of if-ing and but-ing, I had no idea how it was gonna work or what it was gonna look like but I just had to do it! I scoured the internet figuring out how to start a business, how to start a blog and went from there. I did a lot of market research, came up with a business plan, went on online webinars to learn, enrolled onto a blogging course, did beginner photography workshops and I researched more recipes than I can count. The whole process took me an ENTIRE YEAR from beginning to end. Usually it takes the average person (or it can take) as little as 3 months to launch a blog - if done properly. But as I had so many commitments I only had an hour a day - 2 tops - to commit to this project. I had to cut out TV time (only listened to the news headlines), socialising and I had to accept that my house cleaning standards would have to drop significantly if I was to make any headway. In fact my motto to any activity was "Does this pay the house bills? No? Ok, scrap that then". I would say the hardest part for me out of all of this, was letting go of having a perfectly clean house. I used the little resources that were available to me and did my best with what I had. That's all any of us can do at the end of the day isn't it? Instead of looking at what you don't have, you'd be surprised at how blessed you actually are. Like I realised, even though I don't have a lot of time, I did have a plan, a DSLR camera at my disposal and an incredibly supportive (and talented!) husband who was able to hook me up when it came to branding and photography. I had one goal and one goal only and that was to launch January 2017. So D Day came and I launched the blog after New Years in January and I could not believe the response that I got. I made so much noise on social media and online forums and the email subscribers began to come in their droves. I'm talking not 50 people or 100. I mean over 300 subscribers - overnight! My excitement quickly turned into utter fear and nausea. "What have I dooone?!!! There's no going back now! Everyone knows about this!" Even possibly that weird school mate that I haven't spoken to in over 20 years. Working on the blog without an audience, behind closed doors was one thing. Going live and launching it was a completely different ball game. Over the next few (very few as you'll soon learn) months, I frantically began to run around trying to figure out how to RUN a blog, keep up with social media posts, come up with recipes, do photo shoots and look after 3 kids under 6 years old. I was really trying to juggle this mum-ing thing, the school runs (they don't call them runs for no reason! ), bedtime routines and carrying my church leadership responsibilities. Let's not forget my prayer life and being a wife which were on top of my priority list too. However you look at success and however you want to achieve it, you can bet that it's just plain hard work. It's amazing when you create something that is completely your own but there are a whole bunch of challenges that you wouldn't face in the comfort of a 9-5 or being an employee. (By the way I am not against the idea of being in full time work or being employed at all, I've been there and done that, and figured out that it doesn't work for me or my family in the stage of life that we are in). Challenge #1 - Self Motivation. For example, when you're employed you have a boss that tells you what to do. It gets old doesn't it? We all like to moan about them. But have you actually considered whether you would get any work done without them? Or even be half as efficient or disciplined if they weren't there? Be honest with yourself. If you knew your boss wasn't coming in to work, would you still show up on time if you could get away with it?? Well when you work for yourself you have to master the art of getting your backside to work WITH NO EXTERNAL MOTIVATION. I have a voice in my head that sounds like Mr T from the Snickers ad that constantly yells "GET SOME NUTS!". Coz I know how to feel sorry for myself and throw pity parties and make excuses very well (I'd like to give some credit to the kids as they've stolen my limelight when it comes to throwing pity parties and so I just don't anymore). So my inner Mr T helps to get me into lady boss, grinding mode. Another challenge especially when you spend a lot of time on social media is distraction. Let's just stop here for a minute. This thing can really choke you. It was so so frustrating to see people that I began with or who even started after me, make so much more progress in such a short amount of time! It just felt like everybody had less kids, more time, more resources, more connections or were more qualified. I could go on and on, and Instagram really doesn't help with that. I've found the antidote to that was practising being thankful and grateful on a daily basis and sticking to my own lane. The only reason we compare ourselves to others is because we think that what we have isn't good enough. But that just isn't true, we are all responsible for shaping the direction of our lives and if we stop long enough from comparing ourselves and actually just put all that energy in pursuing what we actually want to do, then you will move forward and won't feel like such a loser, to put it bluntly. Running a business, from home can be so isolating! I can easily spend the whole day at home in my pjs on a laptop if I could get away with it. I'm just so grateful that the kids have been my saving grace in this area (as well as school runs, and Instagram stories, I can't be looking like a stray cat when interacting with people). But if you have no reason to leave the house, then give yourself a reason to. Go out for a walk and get some fresh air, change your work environment and work in your local library or cafe. You'd be surprised how quickly working from home every day can become draining, and you're more likely to burn out. It's also nice to work in an environment when everyone around you looks so serious working on their laptop - kinda keeps you in check. Nothing could prepare me for this one. One day I was leading worship at church and there was a certain song that had a certain high note (which I can normally reach) but I sort of didn't. It felt like a struggle singing that day coz I also felt quite breathless which was unusual as I've managed to get my breath control on lock down over the years (a technique really needed for singing) . I just felt unwell but I couldn't put my finger on it. Later that evening I was spending time with Andrew after we put our babies down for bed and I remember feeling ever so sliiightly nauseous. Alarm bells started going off in my head and I tried to gauge Andrew's reaction to the possibility of me being pregnant, without actually saying I think I'm pregnant. But Andrew being Andrew, he cut to the chase and figured it out and we decided we needed to buy the pregnancy test the next morning. Well, we did just that. And I did the test and a very veeeery faint second line appeared and I just thought "This can't be happening, let me try again." So I did and the second line appeared again much more clearly. Like I could almost hear God saying "Girl, you pregnant." Andrew was excited. I was confused. And as the day went on. I cried, and cried... And cried. Don't get me wrong, I didn't cry because I didn't want another baby. I have more than enough love to give to aaalll my babies. After all, we always wanted to have 4 kids...eventually. I cried because I was shocked. I cried because I was nauseous and I had a WHOLE FILPPIN' 9 MONTHS of just sheer nausea, discomfort and fatigue to endure, WITH 3 KIDS UNDER 6!!!!! I was so overwhelmed to say the least. And to top it all off, I was hit with a level of fatigue that I have never experienced before in any of my other pregnancies, no thanks to my super low blood pressure. All this and then feeling like I can't be there for my family made me feel so lousy and the combination of all these things sent me into a downward spiral of depression. Being a mum has forced me to become a resourceful, active and a go-getter type of person and I just felt like I couldn't be that person anymore. I lost complete confidence in myself and I felt like I lost the source of my peace and strength which I get from spending time with the Lord. It felt like the phone line to heaven went dead. I had no strength to blog, to be a mum, to be a wife. I just existed. Bed ridden. I felt like "There's plenty of other mum's who do this and hold down a full time job why can't I?!!". I even coped better in my past pregnancies than I did this time! So all I could do was download Candy Crush (I reached level 306 yo) to stop the vicious cycle of negative thoughts that would plague me. But it got to the point where the negative thoughts became so critical I felt like l needed to inform my midwives and pastor for some help because I didn't like the direction of where I was headed. I just had an epiphany of "This isn't me! I am not this person and I DON'T like this person". My midwives came to the rescue and informed me that I had antenatal depression, and just the fact that I spoke to them made me feel like I didn't have this awful secret to hide anymore. I felt so much better. To be honest all I needed was to talk to somebody. My pastor was so awesome, I had one counselling session which turned everything around for me and I started walking towards the silver lining from that point onwards. Thankfully, the nausea began to disappear at that point as well which was a HUGE relief. The shame of speaking out and saying I'm depressed was a real thing for me, especially since I'm a leader in my church community and I'M usually the one counselling others out of similar situations. But people are people, we are all vulnerable no matter how 'strong' we think we are. That experience with antenatal depression really taught me to hang on to hope in a way like I never have before. The best word to describe those awful months was HOPELESSNESS. And when you've been in it for long enough it can drive any person to feel like losing their life. It's such a tragedy and I hate to see people go through it. I heard a very wise man say that if there is any area in your life where you feel hopeless, then you have believed a lie. And I hold on to these words very tightly. If you have ever felt this way before or feel like this right now, I just want you to know that there is always HOPE for your life. You will be ok, and you are deeply loved (whether you believe in Him or not). Which brings us to the end of my 2017 journey. I thought it was amazing that I launched with a bang and seems like I'm ending this year with a bang too with my last recipe Middle Eastern Stuffed Bell Peppers going a little bit viral on Pinterest! So what does 2018 hold for me? Well I definitely want to focus on working smarter and not harder. Working from a place of rest and not strife, pour more into my family, expand the blog and work on some new exciting projects. Thank you to all of you who have ever shown interest and support to Earth and Spoon, it's definitely helped me to keep on going on the tough days! Wishing all my readers across the pond a happy Thanksgiving and to all my UK crew & everyone else a merry Christmas and prosperous new year!